The 2014 Honda Jazz, which is also called Fit in some international market, has been launched in Honda's home country, Japan. The Japanese automaker, Honda Cars has worked extensively to enhance the overall quality of the vehicle, in terms of styling, performance and interior. The new model has a number of styling upgrades from its predecessor along with a new hybrid system. The new Honda Jazz Price is Rs 7.56 lakh. Industry experts feel that the vehicle will hit the Indian showrooms early next year. The front end of the new model gets an aggressive treatment that includes angular headlamps blending with the grille along with a sporty bumper integrating broad air inlets. The rear side gets a chiseled set of tail lamps and a muscular tailgate. The side profile reveals a new cut and raked roofline which makes a look smarter and stylish. The interior cabin comes with a mix of light and dark tones of grey and the front passenger area is open and roomy while the rear seats are highly comfortable for long drives. It also includes illuminated audio controls, dashboard with touch-based controls and new air-con controls. The new model was available in three variants, while each variant is offering both 2WD and 4WD options. The base variant gets a 1.2-liter i-VTEC engine that churns out 98bhp power and 119Nm of torque. This engine is mated to a auto CVT gearbox or a conventional five-speed manual transmission and also offers a decent mileage of 26 kmpl. On the other hand, there is also a powerful 1.5-liter direct injection i-VTEC petrol motor that produces 130bhp power and 155Nm of torque and it is also coupled to an auto CVT gearbox. The range-topping Honda Jazz Features a new, one-motor Sport Hybrid i-DCD (Intelligent Dual Clutch Drive) system, which starts in EV mode by switching automatically among EV Drive, Engine Drive and Hybrid Drive based on driving conditions and the system delivers a good mileage of 36.4 kmpl. The vehicle includes a number of aerodynamic body kits of which the most notable is the rear spoiler, carbon fiber and front aero bumper. It also includes silencers and sports suspension, along with performance brake pads and a two tone alloy wheel. The compact car includes Vehicle Stability Assist, the Emergency Stop Signal and Hill-Start Assist, which warms car to the rear of a sudden stop. It also includes City-Brake Active system, G-Force Control Technology, front seat i-side airbags and side curtains. It also gets a rotating front passenger seat retaining and it has a lower cushion with a smooth front edge for easier entry. 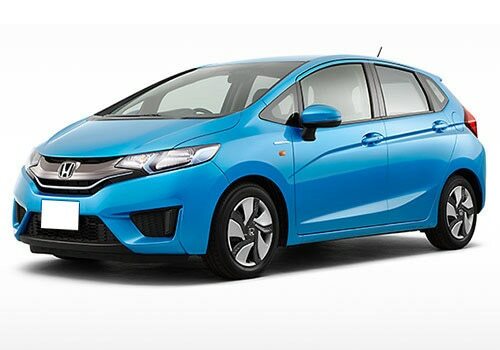 The new Honda Jazz pictures are available on various online sites, visit for any further information.